I just finished baking these cookies. 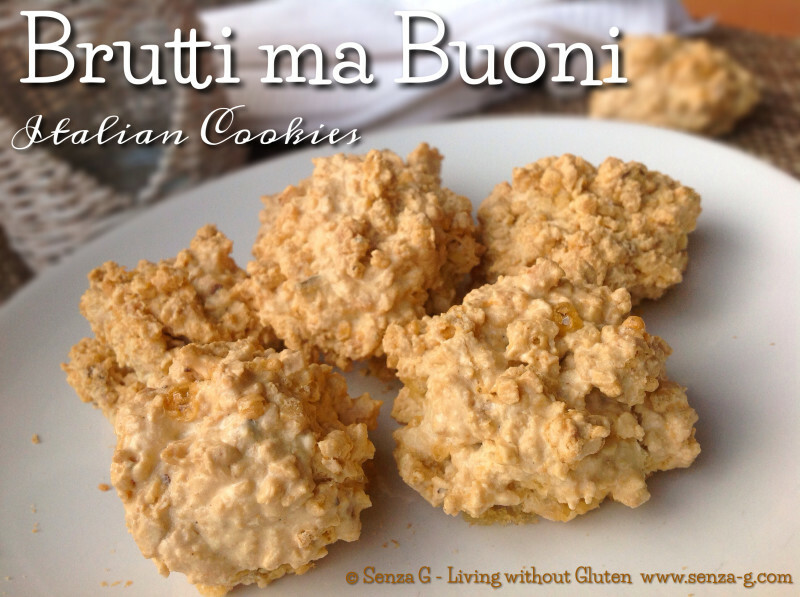 Their name REALLY is Brutti ma Buoni, (Ugly but Good) because lets face it, they do not look too pretty, but they certainly do taste delicious! There are different ways to make these cookies, but I have used this method. It is perfect for Celiacs and those Gluten Sensitive as they contain no flour! But non Celiacs love them too! Using a handheld mixer, beat the egg whites in a bowl until soft peaks form. Start adding the sugar slowly whilst still mixing until it becomes glossy. There is no need to beat till it is stiff. Add the chopped nuts and combine well. Put this mixture in a non stick pan and cook over a very low flame for about 15 to 20 minutes, stirring often, until the mixture starts to thicken. Remove from the heat. With the help of two spoons, place tablespoons of this mix onto a baking paper lined pan. Place in a preheated oven at 160 C and bake for approximately 20 minutes or until the cookies start to brown.